ROME - Why does Iran matter so much to the rest of the world? There are at least three reasons. First, Iran has become a key test case of the international community's capacity to prevent nuclear proliferation, which would make the world increasingly unpredictable and dangerous. Second, Iran matters for the future stability of the Middle East, where its influence as well as the influence of the Shiites is on the increase. Third, Iran matters for the stabilization of neighboring Afghanistan. ROME – Why does Iran matter so much to the rest of the world? There are at least three reasons. First, Iran has become a key test case of the international community’s capacity to prevent nuclear proliferation, which would make the world increasingly unpredictable and dangerous. Second, Iran matters for the future stability of the Middle East, where its influence as well as the influence of the Shiites is on the increase. Third, Iran matters for the stabilization of neighboring Afghanistan. For years the international community has been focusing almost exclusively on the nuclear aspect. Alas, diplomatic efforts to persuade Iran to suspend the enrichment of uranium have failed to break the stalemate. After six years of “nuclear-only” diplomacy, the time has come to tackle the Iranian question in a more comprehensive manner. The new strategy should be based on two assumptions. First, we cannot wait for the nuclear issue to be resolved before engaging Iran on other crucial fronts. An indefinitely isolated Iran could become an incorrigible saboteur in many areas, from Central Asia to the Middle East to Afghanistan. Second, Turkey and the moderate Arab countries, as well as India, Pakistan and Afghanistan, have just as much of an interest in Iran as do the United States, the European Union, China and Russia. These countries legitimately expect their interests to be taken into account. They should be more closely involved in the international decision-making process if we want our policies on Iran to become more effective. Italy was the first to propose that Iran should be directly involved in the debate on Afghanistan. We have been supported in our endeavor by the pragmatic approach adopted by the U.S. administration. The governments of Afghanistan and Pakistan also have apprised Italy of their belief that Iran can be part of the solution for the stability of their region. The top-level leadership talks held in Tehran recently point to the three countries’ willingness to work together. Moreover, Western and Iranian interests in Afghanistan potentially coincide. 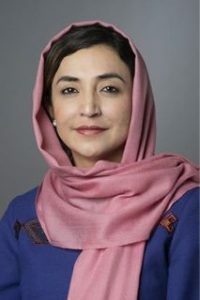 Tehran has an objective interest in seeing Afghanistan “de-Talibanized” and stable, and in seeing a government in Kabul willing and able to keep narcotics from flooding into Iran, where drug abuse has become a national emergency. For that reason, Italy has invited Iran to take part in the G-8 meeting of foreign ministers that is to be held in Trieste on June 26 and 27 and whose “outreach” session will be devoted to the stabilization of Afghanistan and Pakistan. We want Iran, along with other regional actors, to play a constructive part in a new regional compact designed to consolidate Afghanistan’s stability. We urge Iran to contribute to the collective achievement of a number of regional benchmarks in several areas. 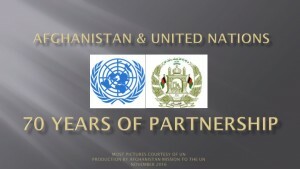 These benchmarks range from border control, to fighting narcotrafficking and arms smuggling, to the implementation of a number of regionally co-sponsored economic projects designed to help revive the Afghan economy. The Trieste meeting is meant to launch a process whose implementation will demand a sustainable commitment from every single regional and international player involved. Thus Afghanistan can be an important test for measuring Iran’s willingness to modify its conduct and to adopt a cooperative posture toward its neighbors and the international community. Italy believes that Iran’s full and direct involvement in the Afghan question should be pursued at once and independently of attempts to resolve the nuclear issue. The nuclear issue can follow the path mapped out by the “5 plus 1” group (the United States, Britain, France, China, Russia and Germany), although that group will need to become more inclusive by bringing in other relevant stakeholders if it is to increase its chances of success. If Iran is re-engaged over Afghanistan and Pakistan, it may feel more motivated to interact constructively with the international community on the nuclear issue and on the Middle East, where its interests are now at variance with those of the international community. Franco Frattini is Italy’s minister of foreign affairs.